Krista Kapralos writes a most fascinating piece in The Washington Post this week: about how evangelical Christians are coming to the forefront of adopting frozen embryos that have been fertilized in-vitro. The article cites that there could be approximately 600,000 embryos being stored in liquid nitrogen around the United States. And that in keeping with their pro-life values, many who identify themselves as conservative Christians are choosing to legally adopt children... and then carrying them to term on their own. For some reason or another, I found myself studying human embryology last week, particularly the first few days and weeks of the zygote. Something that keeps fascinating me: how the heck does a little ball of cells like that know how and where to achieve bilateral symmetry? That seems like such a tiny detail but for the life of me, I can't figure it out. Pondering about that reinforced something that I was told years ago by someone in the medical profession: that a baby truly is a miracle. There are a thousand things that could go wrong in a pregnancy, but more often than not a healthy human being is born. We don't appreciate that nearly enough. So back to this story: as a person who strongly believes that human life begins at conception, I have to applaud that there are many people who are willing to demonstrate their ethics in this fashion. I'm also of the mind that medical knowledge is a wonderful gift from God and that it absolutely can be a blessing for those who need it, including for those who on their own cannot conceive a child. But I'm also now seeing how my friends among the Catholic persuasion are onto something as well with their church's position that in-vitro fertilization is wrong. 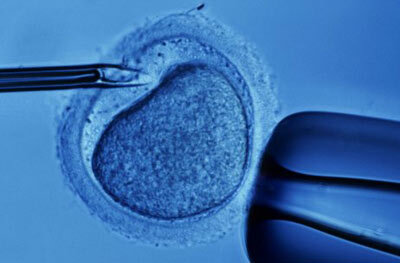 Because of all those hundreds of thousands of lab-fertilized embryos, many of them won't be implanted at all. Quite a number of them are fertilized but otherwise not viable for coming to full term. And therein is the ethical problem: that the in-vitro procedure, in an effort to bring about new human life, must also acknowledge that human lives will be lost as an unavoidable consequence. I'm not coming down one way or another about this. Just wondering aloud if, perhaps, in some ways the miracle of medical technology exceeds our moral grasp. Conception/birth truly is a miracle. I'd like to see more pro-lifers adopting older children - you know, the ones already born who are shuffled from foster home to foster home until they are 18 and then put out on the streets alone.